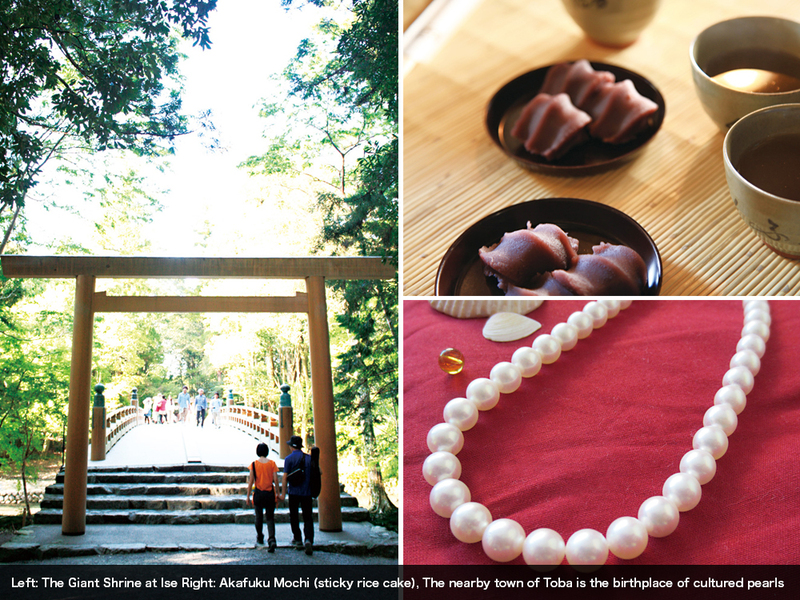 trails of the Kumano Kodo, but there many less strenuous activities to enjoy. ji temple and the esoteric monks who train there. called ‘shika senbei’ or deer crackers. In Nara, it is not only the deer which enjoy the culinary delights on offer. Visitors to Nara can try Narazuke, a dish made by pickling vegetables or fish in sake lees, a much more sophisticated affair than the vinegary pickles which most Australians have grown up with. Ise Shrine in Mie Prefecture, one of the most sacred destinations in Japan, is linked with the Three Grand Shrines of Kumano via the Kumano Kodo. Ancient legends state that the Japanese Imperial family is descended from the Sun Goddess, Amaterasu Omikami, who is enshrined in the Inner Shrine or Naiku at Ise. In keeping with traditional beliefs in cycles of death and renewal, the shrine is rebuilt every twenty years, with 2013 marking the occasion when the deities are transferred from their old homes to the new ones. 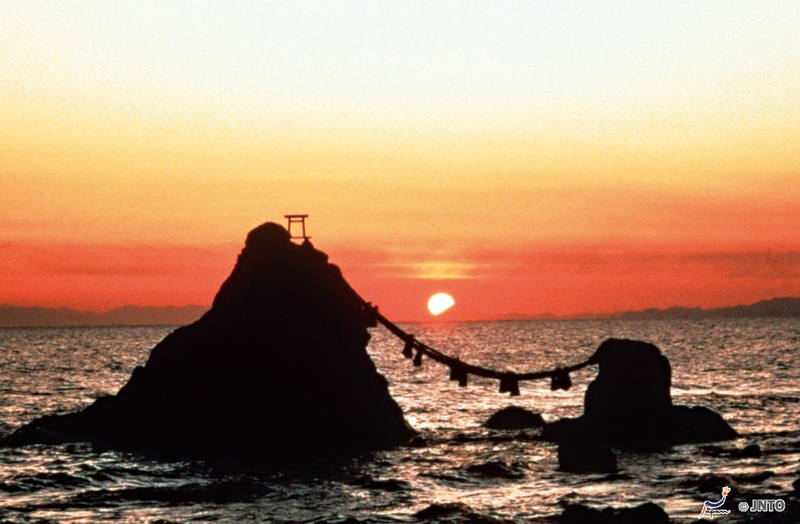 The sacred Meoto Iwa or the ‘Wedded Rocks’ on the coast near Futama are said to represent the Japanese creator spirits, Izanami and Izanagi. The rocks are joined by a sacred rope or ‘shimenawa’, examples of which can be seen at many Shinto shrines around Japan. Iga Ueno, which is midway between Osaka and Nagoya, will satisfy both lovers of military and literary history. In addition to being the birth place of the famous poet, Matsuo Basho, Iga Ueno is home to a castle which boasts the highest stone walls in Japan. A visit to Mie Prefecture is not complete without trying Akafuku mochi, a pounded rice cake with a wonderfully chewy consistency, which is beautifully complemented by sweet red bean paste. While this delicacy is readily available throughout the prefecture, a visit to the Oharai Machi shopping precinct near the entrance to the Inner Shrine at Ise is highly recommended. Mie prefecture is also noted for its Matsuzaka beef, which hails from cattle fattened on beer and massaged to improve the texture of the meat. 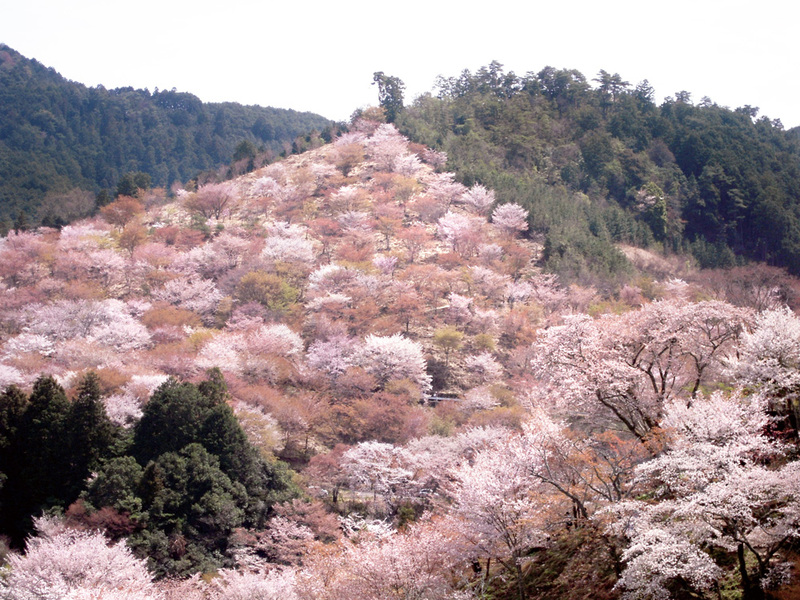 The Kumano Kodo, an ancient and intricate network of six pilgrimage trails traversing Japan’s mountainous Kii Peninsula, spans three provinces and thousands of years in history. 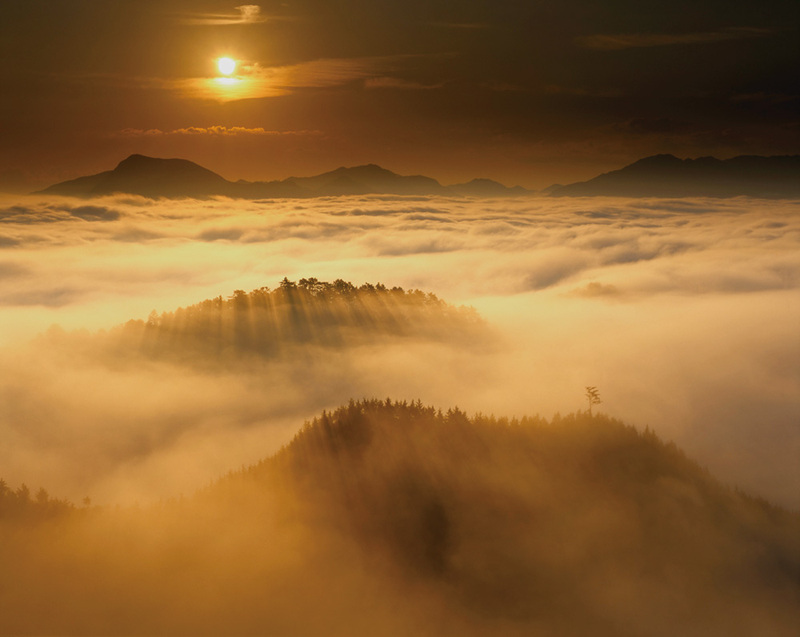 With its spectacular gorges and mysterious shrines and temples, the Kumano Kodo offers modern day pilgrims the opportunity to experience the physical and spiritual landscapes of Japan. For thousands of years pilgrims ranging from members of the Imperial family to well-heeled commoners have journeyed along the Kumano Kodo to visit the Three Grand Shrines of Kumano. Historically, the return journey from Kyoto took over a month and consisted of long days spent traversing the mountain paths, interspersed with relaxing baths in the purifying waters of the Kii Peninsula’s many hot springs. Travellers also marvelled at natural wonders such as the Nachi Waterfall and worshipped at the many shrines and temples found along the way. 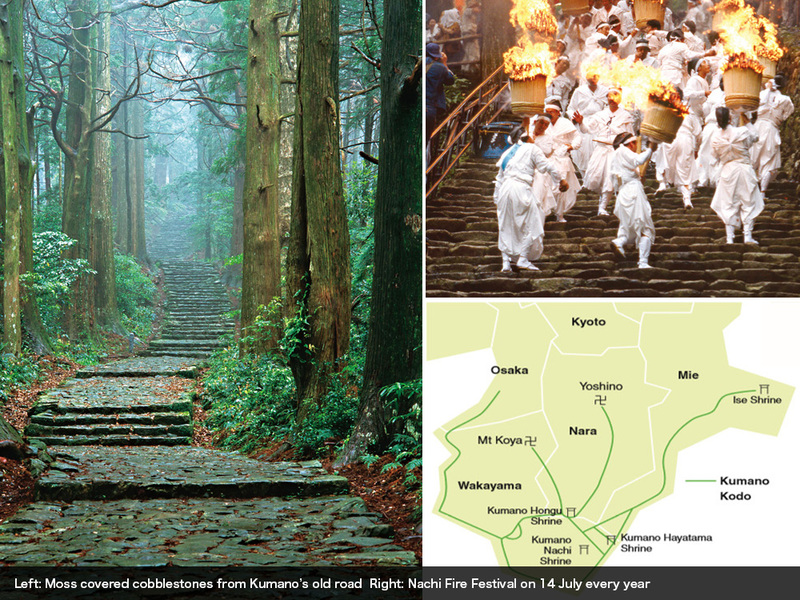 Although pilgrims were undoubtedly glad to reach their destination, the journey along the weathered stone paths of the Kumano Kodo was an important part of their experience. 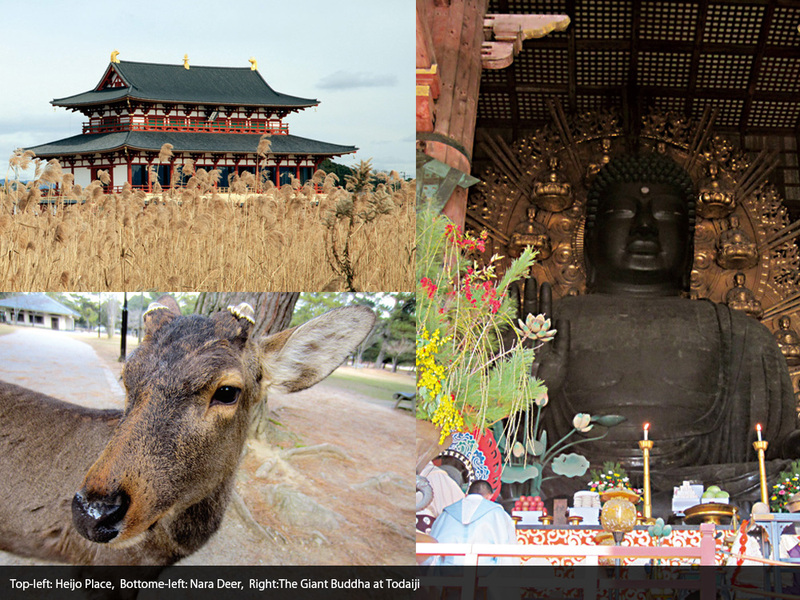 Fittingly, the pilgrimage trail itself has been recognised as a UNESCO World Heritage site, along with the sacred temple precinct of Mount Koya and the Yoishino Omine area in Nara. ages and levels of fitness. The trail meanders through the three prefectures of the Kii Peninsula: Wakayama extending down the western side to the southern tip, Nara in the north and Mie in the north east, enabling travellers to sample the distinctive culture and cuisine of each region.